Born in Cinque Terre Lorenzo Fabiani and his wife Michelle Fabiani have recreated their love for Italian food at Fabiani's Wailea. The menu is loyal to the Italian classics such as Spaghetti Meatballs, Bolognese and our signature Osso Bucco with a strong emphasis on providing fresh Seafood in our Risotto and Linguine con Vongole. Italian American influences feature strongly with New York style thin crust Pizzas culminating in a fabulous dining experience. There are also family-style options, along with vegetarian and gluten-free pizza and pasta. Michelle Fabiani prepares decadent desserts like the signature Tiramisu Cheesecake and French Macaroons serving as the perfect ending. Let me preface my saying the service is here way ok. No one was rude or unprofessional. Buuuut, nonetheless, this was the 2nd worst food dinging I've ever had. Both the food and the ambiance are sad. There is no other fitting word besides sad. Even my lemon drop was sad. Everything felt as if it lacked inspiration or kitchen guidance. I have the chicken parmesan and it was just bland. My boyfriend had pizza and the sauce is nasty sweet. Both of our appetizers were thrown together and not worth half the amount we paid. I had higher expectations given the nice location in Wailea but skip this place if you're in town. Overall not worth it. Great happy hour with half off pizzas! I got the lasagna & my wife got the carbonaro. We shared a bowl of lentils soup with bacon. Everything was excellent! Price very reasonable. Simple & casual ambiance. The food was delicious and the prices were fairly reasonable. All of the desserts looked fabulous...we had tiramisu and it was great. Would definitely recommend Fabiani’s. Our favorite Restaraunt in Maui! The food is delicious, service is exceptional, and the value is solid! We love the friendly staff and their commitment to serving their customers with the ultimate Aloha! Service was not good. For being such a small restaurant and having 4 waiters service shouldn't be an issue. Awesome meal and service. 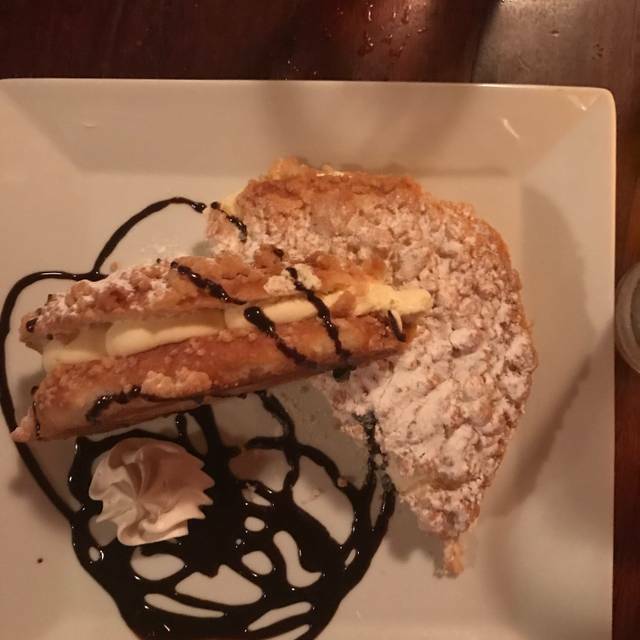 The server talked us through the menu as we were first timers there and helped me to pick out the eggplant napolitano which I would highly recommend as it was out of this world! Husband had chicken parmiagna which he enjoyed, but said the sauce was just a bit bland. Great food and service! They were able to accommodate our large party. Our favorite Restaraunt in Maui! The food is spectacular and the service outstanding! Excellent Value! Special Kudos to Ava, she is the BEST server we have ever encountered!! We’ll be back! Beef lasagna: came in a bowl not a plate and surrounded by sauce. No discernible or visual layers. No distinguishable bechemel sauce. More like a bolognese using lasagna noodles. Excellent food and service. We were vacationing on Maui for a week and it was so good we ate her twice! Tasty food. Quick service. Fair sized portions. Will definitely return. Food was very good but not much atmosphere. Eggplant was excellent. Excellent Italian food! Super fresh ingredients that are prepared so deliciously! We always come to Fabiani’s at least once when visiting Wailea. It never disappoints! Great night! All of us were Maui residents. None of us had eaten at the Wailea Fabianis. It was my daughter’s birthday. The whole experience was fantastic!! We will all go back!! Food, service, ambiance were fabulous! Loved it! Food was delicious. Wait staff could have been a little more attentive but in general good. Always come when on Maui cause so enjoyable! The food was fresh, hot and delicious. The waiter (Sam) was friendly and efficient. Atmosphere was lovely. Would definitely return and recommend. 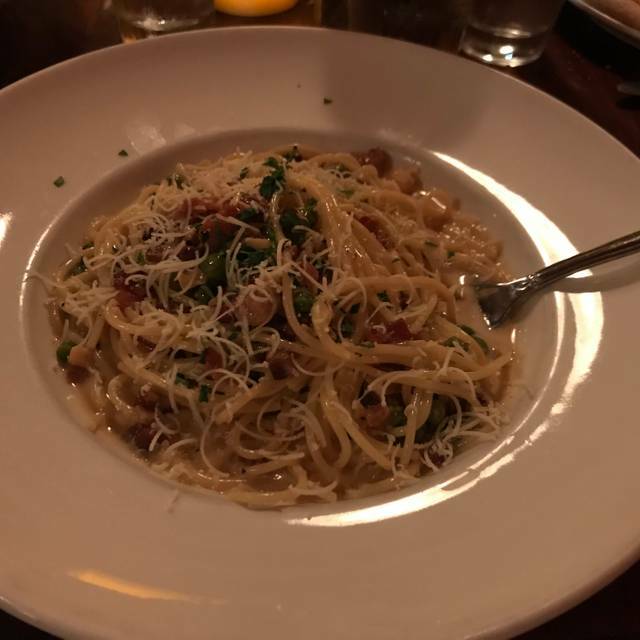 Always great pasta. Can’t beat the value! Very reasonably priced. Very good food and great service. Yummy pizzas. We will be back. We have come to your restaurant once or twice every March during spring break for the last many years. This year‘s experience was our worst by far. You did not have any complimentary bread. How does an Italian restaurant run out of bread?. And the lasagna which we get every year and it is fantastic, was about half the size of what it normally was. The waitress wasn’t very friendly either. I have always recommended your restaurant to people visiting and it is normally just fantastic and at a decent price. I was very disappointed this year. We did not come for a second visit like we normally do. Raise the price a little versus cutting portions so much! Fantastic dinner, brought family from the mainland and they just loved it. Chloe the hostess was so nice and gave great service. The wine was delicious as well as the eggplant entree. Additionally your Caesar salad is the best! What a treat. A genuine Italian dinner in Hawaii. Who knew? Try the pizza, and spaghetti...and the seafood risotto. We will be back! Server said they were understaffed and it was obvious. We had to ask for the complimentary bred mid-meal and he didn’t any butter or oil. When we asked for some he ran and got oil and vinegar container for the salads and threw it on out table. Our first time at thhis location and we found the food and ambiance better but the service not that great. Had an early reservation so not crowded at all. Ordered a glass of wine which I received after I got my meal. It would have been nice to have it with the bread basket they brought before the meal. I had spaghetti and meatballs. The meatballs were on the dry side. Average meal. Probably would find different dining options next time. Food was good, and priced well, the only thing that was lacking was the service. Although in fairness. The service started poorly the server did realize it and step up his game in the second half of dinner. Once again we enjoyed a great meal. The eggplant dish was amazing and the swordfish appetizer was great for one counting calories!! We were in Waliea for two nights and went to Fabiani's for dinner twice. I don't usually rave about spaghetti (especially at $20 a plate) but it was the best. Chicken Parm the second night equally outstanding. Another great fun meal at one of our favorite casual dining spots on Maui! Weather was a bit cold and windy so we sat indoors and it was very loud which would be our only negative about this restaurant when it's busy it's noisy because of the layout. But the food and service is great so you just have to plan to have a fun dinner. We were a group of 6 and all had great pasta dishes and fresh salads. Highly recommend you give it a try. 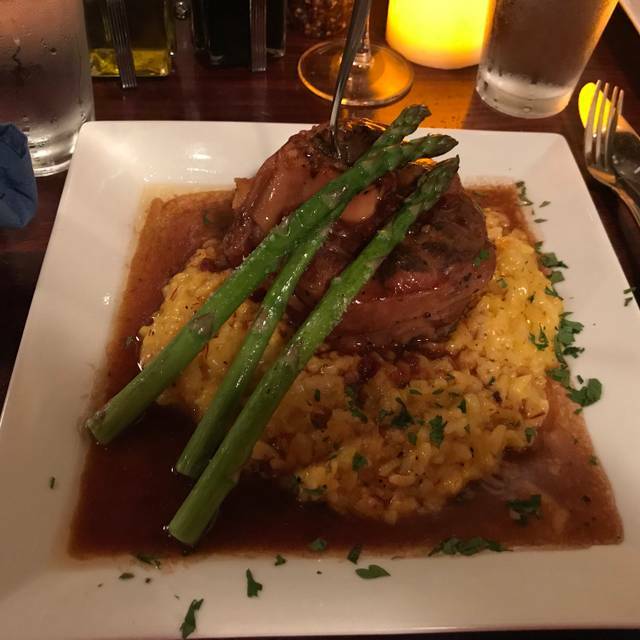 Looking for excellent Italian food on Maui? Look no further, our 3rd or 4th visit. Very, very loud in there. Service was ok, not great, but ok. Food was goos but lacked umph- was expecting a bit more spice, reminiscent of Tuscan food. The value and portions were good though. I’d go back. What a great meal we had! This small restaurant had great service and great food! Would definitely recommend going here for dinner! Great casual place to have dinner. Great food and good service. Food came cold. Server was blunt. Fish special was simply a small slice of fish. Enough to feed a bird but priced like much higher end restaurants on the island. Outstanding food for a great value. Salads, entrees were great and where on Maui do you get a $4 brownie desert that feeds 3 people?? Highly recommended. Excellent food and very good value. The wine list was quite extensive, and drinks reasonably priced.The service was excellent; the staff was friendly and polite, but not pushy and did not make us feel rushed. The food arrived promptly. The only drawback was that it was noisy. Perhaps more baffles on the ceiling would help? Or cork on the floor? Average to good food. Disinterested hostess, bad seating and slow service. Waiter was good and courteous.